As part of President Obama’s Early Education Plan, Congress authorized $500 million in the 2014 Omnibus Act to support states and communities in expanding high-quality early learning through the creation of a new Early Head Start-Child Care Partnership initiative. This initiative has placed renewed interest on research regarding the nature and benefits of Head Start and child care partnerships. 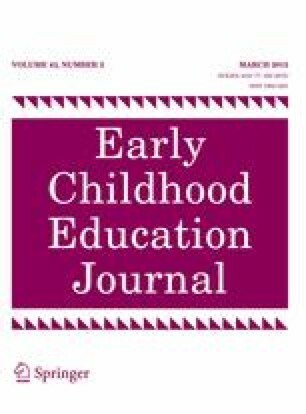 In this study, we sought to confirm—or call into question—the benefits of Head Start and child care partnerships by performing secondary analysis of data collected from child care centers in partnership and matched non-partnering comparison centers. We analyzed survey data from 61 child care centers—approximately half of which were engaged in partnership with Head Start—and analyzed observational data from 66 classrooms within these centers. The observational data had been collected using two psychometrically valid and reliable measures of quality—the Early Childhood Environment Rating Scale Revised Edition (ECERS-R) and the Early Language and Literacy Classroom Observation Toolkit (ELLCO). Results show that classrooms at partnership centers demonstrated higher observed global quality in all six subscales of the ECERS-R, as well as the total overall score compared to non-partnership classrooms. Moreover, classrooms in partnership performed higher on seven out of ten subscales, as measured by the ELLCO, with the largest difference seen in language and literacy practices. To further explore the potential benefits of partnerships on classroom quality, we developed hierarchical regression models. These results provided further evidence regarding the benefits of partnership. Adams, G., & Rohacek, M. (2010). Child care instability: Definitions, context, and policy implications. http://www.urban.org/UploadedPDF/412278-child-care-instability.pdf. Edie, D., Adams, D., Riley, D., & Roach, M. (2003, April 8, 2011). Improving child care quality. http://www.sohe.wisc.edu/outreach/wccrp/pdfs/policy0303l.pdf. Gennetian, L. A., Huston, A. C., Crosby, D. A., Chang, Y. E., Lowe, E. D., & Weisner, T. S. (2002). Making child care choices: How welfare and work policies influence parents’ decisions (Policy Brief). New York: MDRC. http://www.mdrc.org/publications/182/policybrief.pdf. Kagan, S. L., Verzaro-O’Brien, M., Kim, U., & Formica, M. (2000). Head Start-child care partnership study. New Haven, CT: Yale University, The Bush Center in Child Development and Social Policy. Retrieved Aug 28, 2006. http://www.nccic.org/quilt/partnership-study.pdf. Kiron, E. (2003). Blending early care and education funds: Issues, opportunities, and strategies (Res. Brief Vol. 1, No. 2). Newton, MA: Education Development Center, Inc. Retrieved Mar 3, 2004. http://ccf.edc.org/documents/PDF/EDC_FinBrief2.pdf. Marshall, N. L., et al. (2003). Family child care today: A report of the findings of the Massachusetts Cost/Quality Study: Family child care homes. http://www.wcwonline.org/earlycare/FamilyChildCare204.pdf. Myers, D., & Dynarski, M. (2003). Random assignment in program evaluation and intervention research: Questions and answers. Retrieved Apr 18, 2007. http://www.ed.gov/rschstat/eval/resources/randomqa.pdf. Ohio Department of Job and Family Services. (2003). Ohio child care and development fund plan for FFY 2004–2005. Columbus, OH: Author. Retrieved July 21, 2004. http://jfs.ohio.gov/ocf/fund_plan/fund_plan2004.pdf. Puma, M., Bell, S., Shapiro, G., Broene, P., Cook, R., Friedman, J., et al. (2001). Building futures: The Head Start Impact Study. Research design plan. Retrieved Apr 18, 2007. http://www.acf.hhs.gov/programs/opre/hs/impact_study/reports/impact_study/Impactstdy_resrch_plan.pdf. Schilder, D. (2003). State strategies to support early care and education partnerships (Res. Brief Vol. 1, No. 3). Newton, MA: Education Development Center, Inc. Retrieved June 25, 2004. http://ccf.edc.org/documents/PDF/StateBrief.pdf. Schilder, D. (2004). Head Start/child care partnerships: Partnering programs more likely to provide comprehensive services (Res. Brief Vol. 2, No. 1). Newton, MA: Education Development Center, Inc. http://ccf.edc.org/documents/PDF/EDC_ComprehensiveBrief.pdf. Schilder, D. et al. (2005). Child Care/Head Start Partnership Study: Final report. Newton, MA: Education Development Center. Retrieved June 27, 2007. http://ccf.edc.org/pdf/PipReport-32406.pdf. Schilder, D., Kiron, E., & Elliott, K. (2003a). Early care and education partnerships: State actions and local lessons (Res. Brief Vol. 1, No. 1). Newton, MA: Education Development Center, Inc. http://ccf.edc.org/documents/PDF/EDC_ExecBrief.pdf. Schumacher, R., Ewen, D., Hart, K., & Lombardi, J. (2005). All together now: State experiences in using community-based child care to provide pre-kindergarten. Washington, DC: Center for Law and Social Policy. Retrieved June 8, 2007. http://www.clasp.org/publications/all_together_now.pdf. Stebbins, H., & Scott, L. C. (2007, June 25, 2007). Better outcomes for all: Promoting partnerships between Head Start and pre-K. http://www.preknow.org/documents/HeadStartPre-KCollaboration_Jan2007.pdf. U.S. Department of Education. (2003). Guidance for the Early Reading First program. Retrieved August 26, 2003. http://www.ed.gov/offices/OESE/earlyreading/erfguidance.doc. U.S. Department of Health and Human Services/Administration for Children and Families/Office of Planning Research and Evaluation. (2010). Head Start Impact Study: Final report (Executive summary). Washington, DC: Author. http://www.acf.hhs.gov/programs/opre/hs/impact_study/reports/impact_study/executive_summary_final.pdf.